From this data set and inspection of the plot, the hypothesis is false. 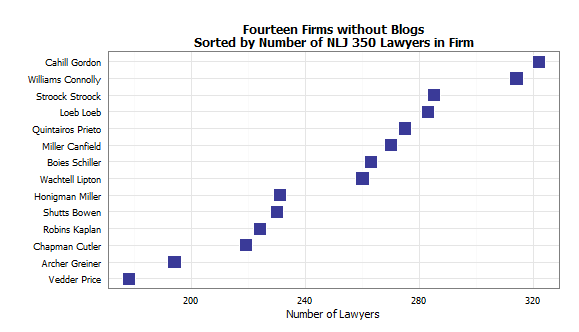 As the plot below shows, the non-blogging firms range very evenly across the spectrum of number of lawyers in the firm. They do not cluster at the lower left side which is occupied by the relatively smaller firms (those in the 180-to-240 lawyer range).